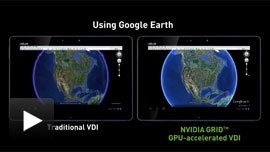 NVIDIA GRID offloads graphics processing from the CPU to the GPU in virtualized environments. Take advantage of leading virtualization solutions. 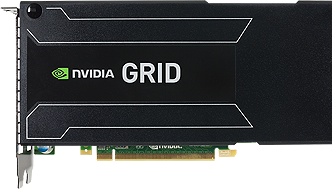 GRID graphics boards are designed specifically for the data center. They have an optimized multi-GPU design that helps maximize user density and are designed to provide data center-class power efficiency, including the revolutionary new streaming “SMX” multiprocessor. Working closely with leading server vendors such as Cisco, Dell, HP, IBM, and SuperMicro ensures GRID cards perform 24/7 for the life of the system. 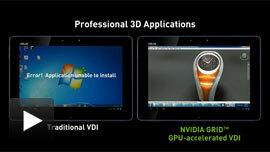 2013 NVIDIA Corporation. All rights reserved. NVIDIA, the NVIDIA logo, andNVIDIA GRID are registered trademarks and/or trademarks of NVIDIA Corporation in the United States and other countries. Other company and product names may be trademarks of the respective companies with which they are associated.